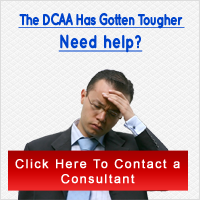 The past couple years have been a struggle for the DCAA with reports of frustrated employees and corrupt supervisors. The GAO found flawed audit reviews, some suppressing negative findings. Many auditors reported inappropriate behavior from their supervisors. With new authority in place, changes have been improving the DCAA. More attention is going towards the hiring and training process, and disagreements between employees is being closely evaluated. Although there is still skepticism from some auditors, a better workforce is on the horizon.